Hi everyone, it’s Cevan, back for Episode 4 of the summer intern vlog. 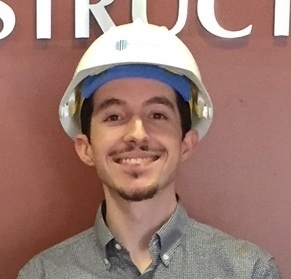 Time really does fly, we are now over halfway done with the internship program here at New England Construction, it felt like last week we were just doing our introductions. On that note, a lot of cool things are going on with my experience here. One of my on-going projects for the summer is traveling to job sites to do photography since it’s a part of my background. So far I’ve gone to four sites, one is a project in progress, and 3 are completed. First up is MidiCi Pizza, which is going to be an exciting addition to East Providence, especially when the next closest locations are in Massachusetts and New York. I got to see it in a pretty early stage, empty on the inside, and prepping for a lot more finishing touches before they could start putting in the front counter and structuring the different spaces inside. My next location was a mall outlot building that has multiple spaces for tenants to move in, this included ground up construction of the building with four spaces for tenants and then paving of the parking area. Last but not least, my most interesting trip was out to Massachusetts for two different Aldi locations, one in Springfield and one in Leominster. Both of these locations are active and open. You’d be surprised how many people are out doing their grocery shopping in the middle of a Thursday, and this is where the challenge of taking pictures to make it seem like its actually empty comes in. It just involved a lot of waiting for spaces to clear, and the occasional glare, but nevertheless I was able to come out of both locations with some great shots for the company portfolio and site. Also during this time period, NEC had one of their employee engagement events, a BBQ at McCoy stadium, along with a Pawsox game. It was a great opportunity to talk to team members outside of the office, where it becomes obvious the NEC family has a strong bond both during work and after hours. But I will wrap it up here, thank you for taking the time to listen, and Kelsey gets the Mic for the next episode to hear about her experience and projects. See you then. If you haven't yet, be sure to check out Episode 3 of the Intern Vlog!